For the Something Old Something New Exhibition with Soil, we have the Korean artist Seung Yun Yoo and her fabric creation, hand printed dyed with natural ingredient. Seung lives in Seoul, Korea. 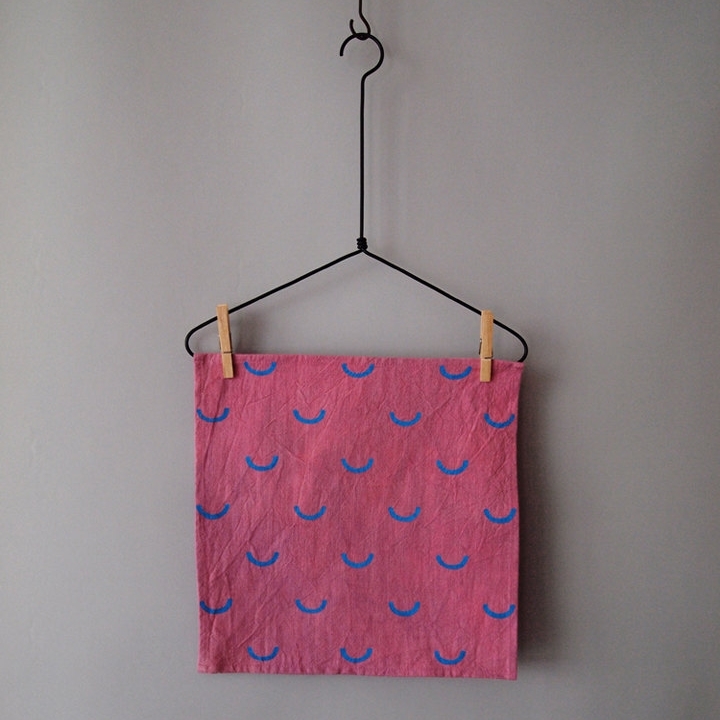 She makes home textile goods inspired by her plain but beautiful surroundings. After studying fashion design at Esmod Seoul and Illinois of Art in Chicago, She worked for several clothing companies in New York and Seoul. Recently she quited her day job and started to make her own fabric creations. All products of Seung were printed and made individually by hand with care. She hopes to make something simple, different and sincere which can fit into every home.